Over the course of a 45 year career in franchising, Mr. Swartz has been the president of 6 different firms and a senior executive at 4 more, including prominent franchisors Dunkin’ Donuts, a division of Snelling & Snelling, ADECCO (Adia Services), Dunhill Personnel, Postal Instant Press (PIP Printing), Chicken Unlimited, and a division of ITT. His “hands-on” experience is unmatched in franchising. After spending some 30 years in senior franchise management positions, Mr. Swartz spent a decade heading the international franchise practice of Arthur Andersen. He was also an advisor to Horwath International. Horwath International is an integrated organization of independent accounting and management consulting firms, with more than 110 member and correspondent firms with offices in cities throughout the world. In his various consulting roles as a franchise business consultant, Mr. Swartz has provided consulting services to dozens of Fortune 2000 businesses, as well as to hundreds of smaller franchisors. Mr. Swartz is a noted authority on international franchising, and has authored numerous articles on both international franchising and franchising in general. He is a member of the Franchise and Business Advisory Committee to the North American Security Administrators Association (NASAA) and has been a speaker on numerous occasions at franchise shows and conventions around the world. 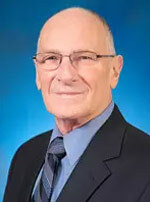 Mr. Swartz is active in the International Franchise Association (IFA), and is, or has been, a member of the International Affairs Committee; the Counsel of Franchise Suppliers Advisory Board of Governors; and the Finance, Audit, and Budget Committee, Trustee of the International Franchise Associations’ Educational Foundation and a member of the board and Treasurer of the Certified Franchise Executives Committee. Mr. Swartz was awarded the International Franchise Association’s CFE (Certified Franchise Executive) award. A Certified Public Accountant, Mr. Swartz is a member of the American Institute of Certified Public Accounts, the Illinois and Massachusetts CPA Society, and is an Associate Member of the American Bar Association. He received his Bachelors Degree with Honors from Northeastern University, and has completed graduate work in Business Administration, Marketing, and Finance.